We all desire better ways to persuade, share what we know, and help those around us make sense of the complex world we live in. The development of our innate storytelling skills helps us to build confidence, convey ideas clearly, and probably most importantly, display our humanity. We all want to express our ideas with great impact, yet eyes instantly glaze over the moment you beam your PowerPoint slides laden with dot points. We know informally that stories are engaging – we tell them at dinner parties and people listen and they ‘get it’. Yet few leaders systematically harness storytelling to communicate ideas, convey their organisation’s values, or inspire their people. Anecdote’s storytelling workshop will show you how to do this. Our workshop is interactive because we strongly believe in the power of practical activities to foster learning. Throughout the day, participants will engage in hands-on activities designed to build their skills and knowledge. At a recent businesswomen’s summit, Ginni Rometty, the CEO of IBM, shared a story about how, early in her career, she responded to a big job offer by saying she needed time to consider it, as she was unsure whether she could handle the responsibility. On hearing about her uncertainty, Rometty’s husband boosted her self-confidence with just one simple question: ‘Do you think a man would have ever answered that question that way?’ Her little story was reported in Fortune, The New York Times and Harvard Business Review blogs. It stuck. The telling of business stories is not about concocting events and delivering your tale to an enraptured audience. Rather, it relies on people sharing their own experiences in an authentic and empathetic way. Everyone has stories to tell, but in many cases we are unaware of them. During our workshop, we help participants to understand why stories work, and how they can become effective story collectors and tellers. We show them how to use these skills to dramatically improve the effectiveness of their communications. And the beauty of it is that these skills are equally effective in our personal and professional lives. In 2009, we facilitated a workshop involving 300 survivors of the Victorian bushfires, helping them share stories of when a small thing made a big difference. It was the first step in helping these people to connect with and learn from each other about how to recover from the disaster. The initial step in influencing your audience is to establish a connection with them. Once this has happened, there are then many ways in which stories can help motivate that audience and inspire action. This section of our workshop focuses on how stories can forge stronger relationships, open up people’s minds to new possibilities, and effect real behaviour change. We’ll show you how to bring values to life, make strategies stick, and strengthen employee engagement. We once met with the CEO of a major bank who told us about his organisation’s excellent employee engagement scores. We then collected stories from his staff and discovered that many of them were bitterly unhappy. The final section of our workshop focuses on how to use stories to find out what’s really going on in your organisation, and how to then tackle complex and challenging problems: the ones that involve people and seemingly intractable differences of opinion. Some of the important skills required to do this include asking effective questions and helping people move from problem-solving to seeing the broader patterns at work. A big thank you to Kevin and Anecdote for inviting both my wife and myself to learn more about storytelling and leadership. If you are interested in attending, click here. This workshop is put on by Anecdote. Here is a 40 minute webinar recording on the richness of story and employee engagement. Stories are so much more than many of us first realize. Mark Schenk and Shawn Callahan, from Anecdote in Australia, lead us through 40 minutes of how to understand and leverage story in more powerful ways to assess, enrich, and enliven employee engagement. David Zinger is one of the leading global employee engagement experts. He believes narratives approaches offer one of the keys to open up engagement for organizations. 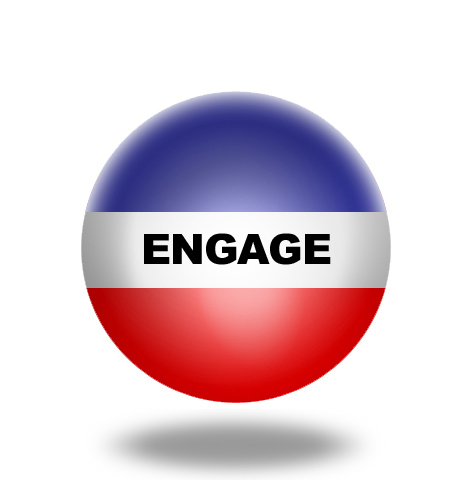 The work of David MacLeod and the UK task force on engagement stated that one of the 4 key elements of engagement is: Visible, empowering leadership providing a strong strategic narrative about the organisation, where it’s come from and where it’s going.